Is the Smartwatch Really Smart or Just Dumb Fun? According to Wikipedia a smartwatch, is a “computerized wristwatch with functionality that is enhanced beyond timekeeping, and is often comparable to a personal digital assistant (PDA) device.” Of course the almighty Google has its hands or should I say wrists all over the smartwatch revolution. Google has announced Android Wear, a version of its mobile operating system tailored for smartwatches and other wearable devices. Google is currently working with companies including Asus, HTC, LG, Samsung, Intel, Qualcomm, and Fossil Group to release Android Wear smart watches this year. 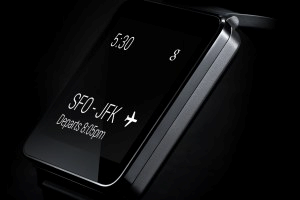 LG confirmed, after much speculation that they were were partnering with Google to design an Android smartwatch. The LG G Watch is expected to arrive in the second quarter of this year and will work with “a wide range of Android smartphones, this will be the key to the watch’s success. Also on Tuesday Motorola, owned by Google, exhibited its upcoming smartwatch, the Moto 360, which also runs on Android Wear. The buzz about the Moto 360 is intriguing based on the photos and description released on the 18th. The watch not only keeps you on time, but also keeps you informed via subtle alerts and notifications allowing users to see who’s emailing or calling, the time of your next meeting is or a friend’s latest social post. Moto 360 also responds to voice commands. Just saying “Ok Google” allows users to ask questions like who won a game or what time their flight leaves, etc. So how smart is the smartwatch? Clearly not as smart as Google who partnered with all of the top technology companies by introducing Android Wear…but I digress! I was quite the skeptic of these smartwatches, especially since nobody wears a watch any more thanks to cellphones. However, I especially like the voice command…this feature makes me happy every time I use Google. But, I must admit that the watches look really sleek. So I guess the watches are pretty smart, but can we get some that look a bit more lady like…right sisters?